The indie rockers are set to unveil Concrete Love on August 18 and the album will be going head-to-head with Collabro's debut offering, Stars, after BGT boss Simon Cowell apparently moved it to the same day. 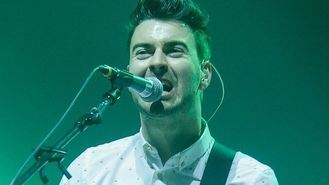 Frontman Liam Fray told the Daily Star: "He'll sell a million units and a proper band will be left in the wings. "They will be number one next week." Liam admitted he is less than impressed with the music scene in general. "Nobody seems real, it's all so dull and boring," he said. "It's one long episode of Miranda. There are no personalities any more." He added: "There's only a handful of bands that are doing it properly nowadays, like Kasabian and Arctic Monkeys. I remember I used to think 'I wanna be in that band,' but do you really wanna go on the road with Alt-J?"